Whether you conduct business with or in a corporation, a limited liability company (LLC), or a general partnership, limited partnership (LP), or a limited liability partnership (LLP), the business litigators at Mark Anchor Albert and Associates have the experience, expertise, and track record to help you achieve successful resolutions of your business problems and disputes. With over 25 years of professional practice in complex business litigation, Mr. Albert has been involved in a panoply of commercial disputes involving every kind of business structure. Disputes often arise in closely held entities such as partnerships, limited liability companies, and corporations, involving profit sharing, governance, voting and control issues, business expansion or retraction disputes, financing and accounting disputes and irregularities, and related problems and issues. 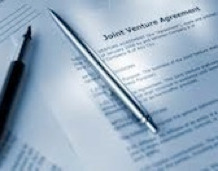 These cases have included disputes between limited and general partners, between shareholders and officers and directors, between directors and officers and their company, and between different companies, partnerships and limited liability companies, and their respective lenders, creditors, suppliers, partners, affiliates and employees. The corporate litigation lawyers at Mark Anchor Albert and Associates have broad experience and expertise in evaluating and enforcing obligations under and relating to LLC and LLP agreements, corporate shareholder agreements, officer and director employment contracts, and other types of contracts and agreements governing the relations of owners, investors, creditors, lenders, employees, officers, directors, and third party vendors, partners and co-venturers. Represented the controlling member of a California LLC in a dispute with the purported minority member who claimed to be a “partner” entitled to “dividend distributions.” Had the case stayed pending arbitration, including forcing a non-signatory to arbitrate her “partnership” claim. Represented Bergen Brunswig Corporation (now AmeriSourceBergen) in connection with breach of contract claims brought by its former Chief Executive Officer arising from his severance agreement with the company. Represented CB Richard Ellis in a dispute involving accredited investors who purchased undivided tenant-in-common interests in a large commercial building in Arizona. The interests were offered to investors under a confidential private-placement memorandum. Each investor had to form a single-member limited-liability company to acquire and own the investor’s interest in the property. Mr. Albert’s analysis helped to achieve a favorable resolution of the LLP disputes regarding the property, which was significantly underperforming in relation to initial projections. Represented E*Trade in analyzing its rights, obligations, and course of action in relation to numerous private placement memorandums, LLP agreements, LLC agreements, trust indenture agreements, security and collateral agreements, and related documents and contracts regarding collateralized debt obligations (CDOs) involving mortgage-backed securities. Represented several multi-billion-dollar bond funds in litigation arising from the collapse of Enron in seeking to unwind numerous off-balance-sheet LLPs and LLCs used to hide assets and understate liabilities. Advised the former Chief Executive Officer and Chief Financial Officer of a publicly-traded company in their rights and obligations under their complex severance agreements, helping them to achieve a favorable outcome to their disputed “golden parachute” packages. The attorneys of Mark Anchor Albert and Associates have a long history and deep understanding of how different types of businesses are structured, governed, financed, and operated. They bring this practical and commonsensical business knowledge and expertise to bear in their business litigation cases, together with their acumen and skill as a business litigator and trial advocate. Combined with the willingness of the Mark Anchor Albert and Associates to enter into creative fee structures with their clients, including contingent and “hybrid” fee arrangements and participation deals. We can position cases for the best possible outcomes while sharing risks, expenses and rewards with our clients. We serve the following localities: Los Angeles County, Beverly Hills, Burbank, Glendale, Long Beach, Los Angeles, North Hollywood, Pasadena, Pomona, Santa Monica, Van Nuys, Whittier, Orange County, Anaheim, Huntington Beach, Irvine, Newport Beach, Santa Ana, Sacramento County, Sacramento, San Diego County, Oceanside, San Diego, Santa Barbara County, Santa Barbara, Santa Clara County, and San Jose.